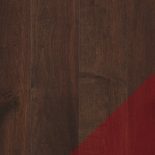 Mohawk Hardwood Flooring New Jersey - The Right Choice for Your Business | Floor Expo Inc. Regardless of whether your commercial space is a busy retail store where hundreds of customers file in and out each day or a business office where you meet with a few clients and partners, you always want to put your best foot forward. And, when it comes to your flooring, no other option can help you put your best foot forward each and every day better than Mohawk hardwood flooring. 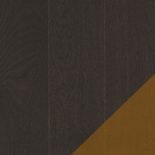 Mohawk is the leading brand in the flooring industry, and here at Floor Expo, we offer a full line of Mohawk hardwood flooring options to choose from. Mohawk offers four different classes of hardwood, so that no matter your budget, needs or style, you’ll always find the perfect option with Mohawk. Refined Class hardwood is the most uniform. It has longer board lengths, and you’ll find practically no knots oe blemishes. 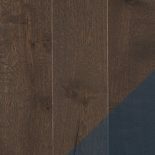 Refined Class hardwood is the highest grade available in hardwood flooring. In Traditional Class hardwood, you’ll find a combination of lighter and darker boards, and you may also find occasional mineral marks or knots. 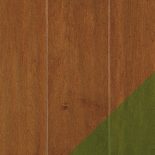 Traditional Class is a high-quality grade of hardwood that is designed to reveal more of the wood’s natural character. With Vintage Class hardwood, you’ll likely see a lot more natural variation than that of Traditional Class hardwood. Vintage Class features a combination of light and dark boards, large knots and recurrent character marks. For the most variation, Character Class is a great choice. It has the most contrast, the highest number of distinct knots, the most filled knots and the most frequent mineral marks. When it comes to commercial hardwood floor, no other option can compare to Mohawk. For help finding the right Mohawk hardwood floor for your commercial space, contact us at Floor Expo today for your free design consultation.